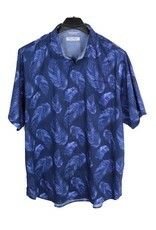 A classic Tommy Bahama look comes in this short sleeve Tonga Fronds Camp shirt. Crafted from a cotton/spandex stretch fabric that moves with you for added comfort. 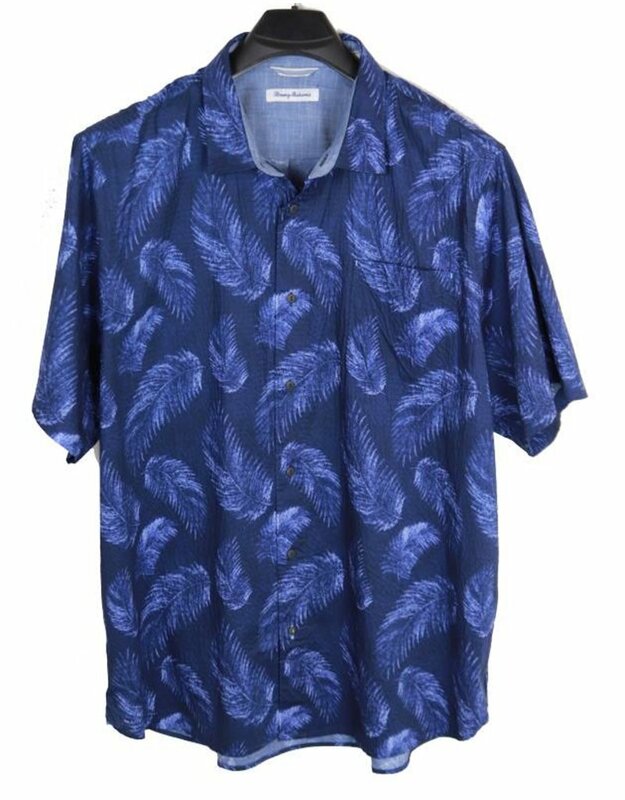 It has a beautiful all over palm leaf print done in tonal shades of blue.